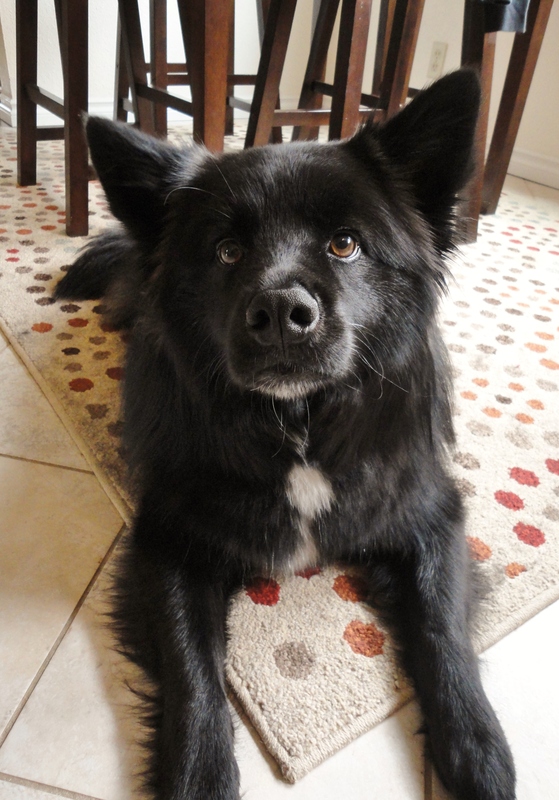 Teton’s pals over at Mr. Chewy recently sent him some treats to review! I’ve had my eye on Orijen’s freeze-dried treats for a while now. 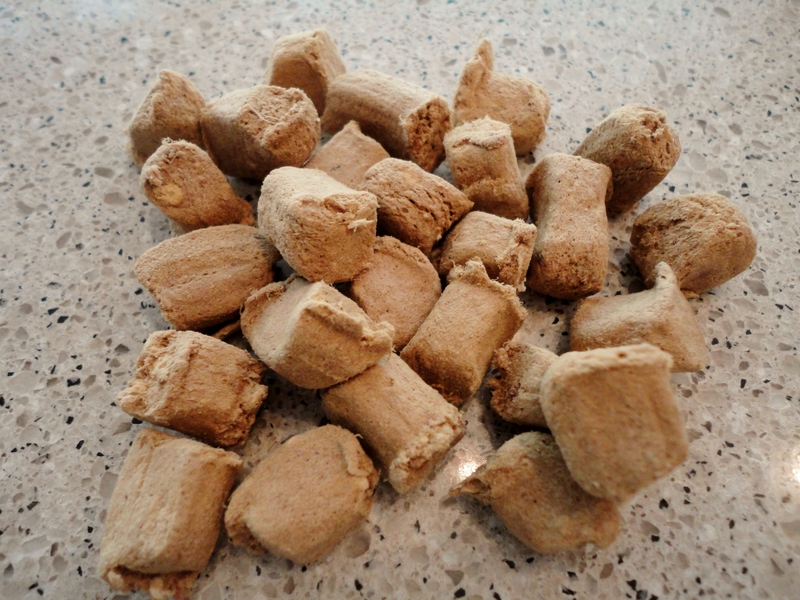 We’re a big fan of dehydrated treats, but freeze-dried? 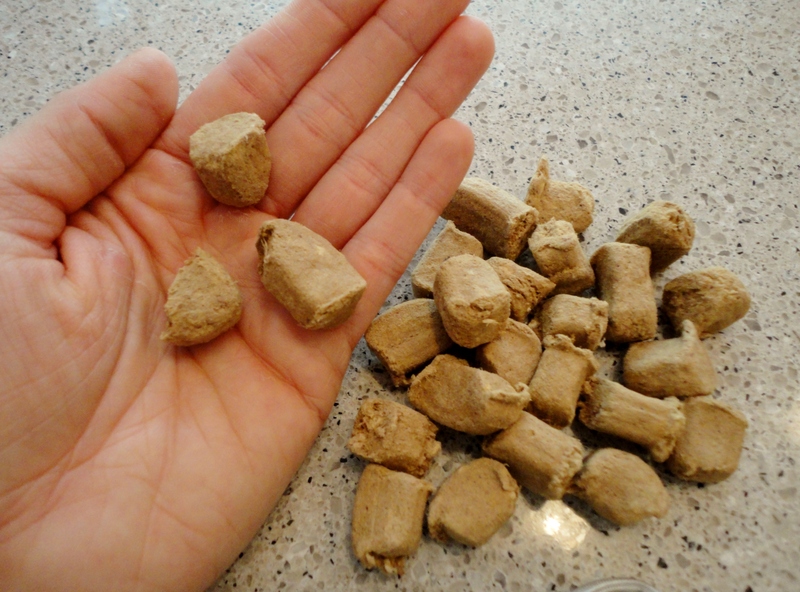 What’s the deal with freeze-dried? 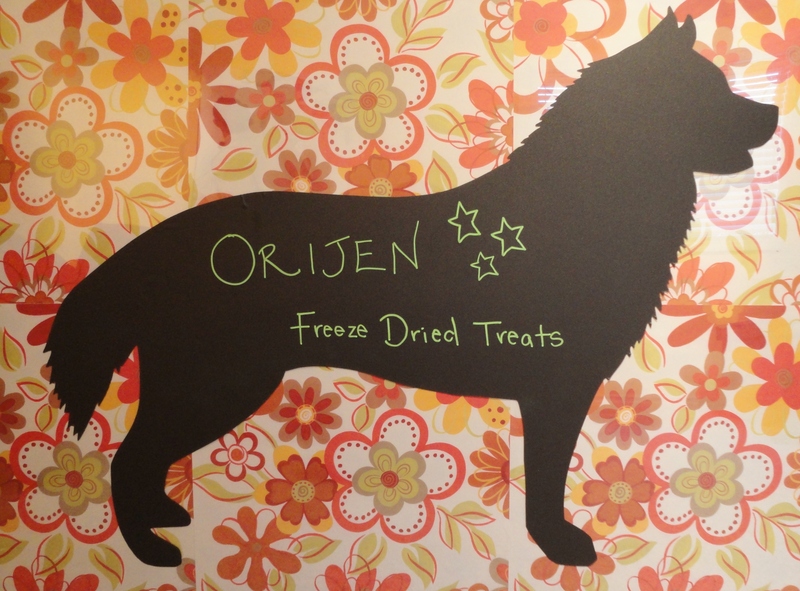 Orijen applies five “biologically appropriate” principles to all of their freeze-dried treats. Check out this link for more information on these five principles. How do the five principles translate into the treats, themselves? Check out that ingredient list. Only three things. 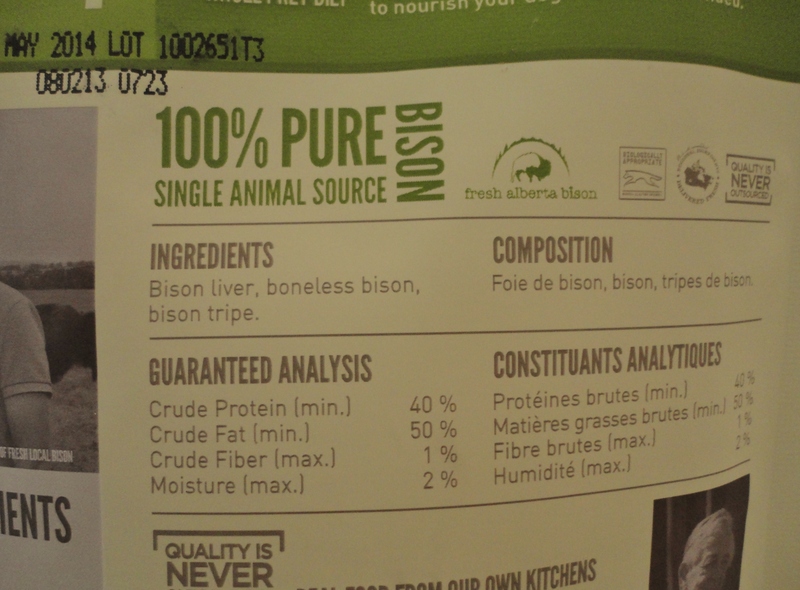 Bison liver, boneless bison, and bison tripe. Boom. 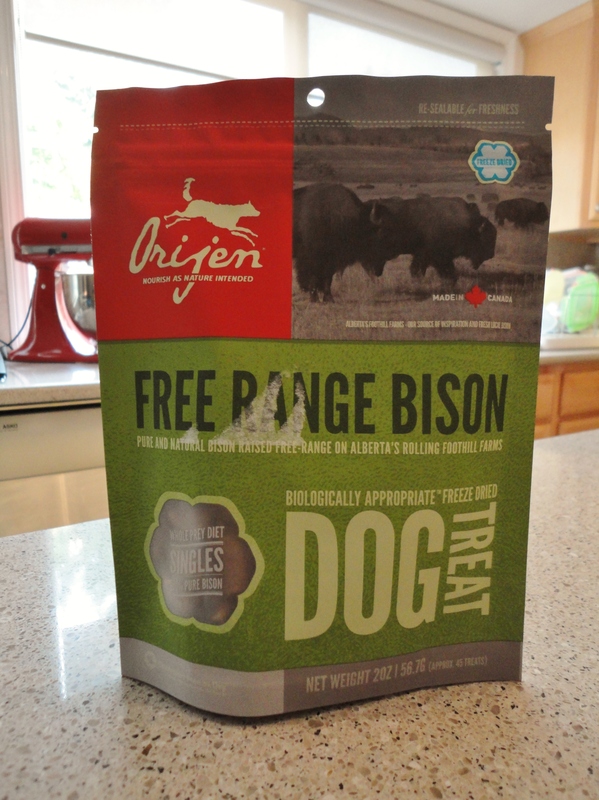 Orijen’s Free Range Bison Freeze-Dried Treats are fun because they are a different texture than most treats their size. 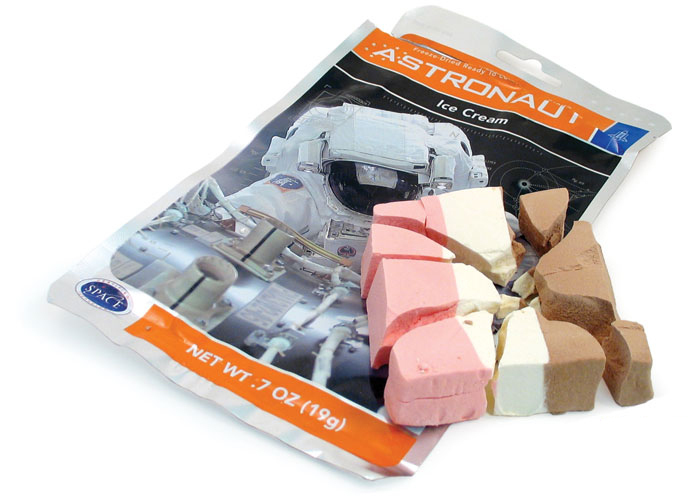 Did you ever have astronaut ice cream? They’re also a good size. I generally give Teton two at a time but I don’t feel like I’m cheapin’ him any if I only give him one. Gimme one ‘a them treats, Ma. Mr. Chewy has a great selection of Orijen treats and food. Check them out! Posted on July 2, 2013 by Shannon	This entry was posted in Treat Jar. Bookmark the permalink.